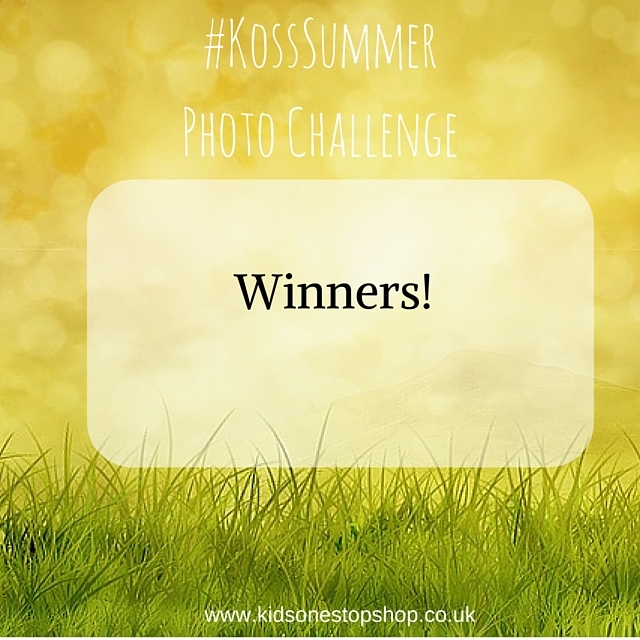 We hope you have had a great summer, a huge thanks to all that took part in our #KossSummer photo challenge. We have chosen our winners and here they are…. Such great photos! 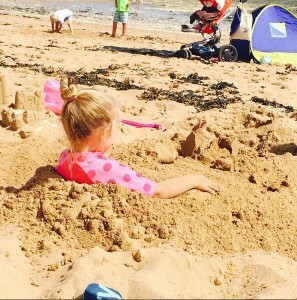 Can all the winners email carol@kidssonestopshop.co.uk so we can arrange your prizes! 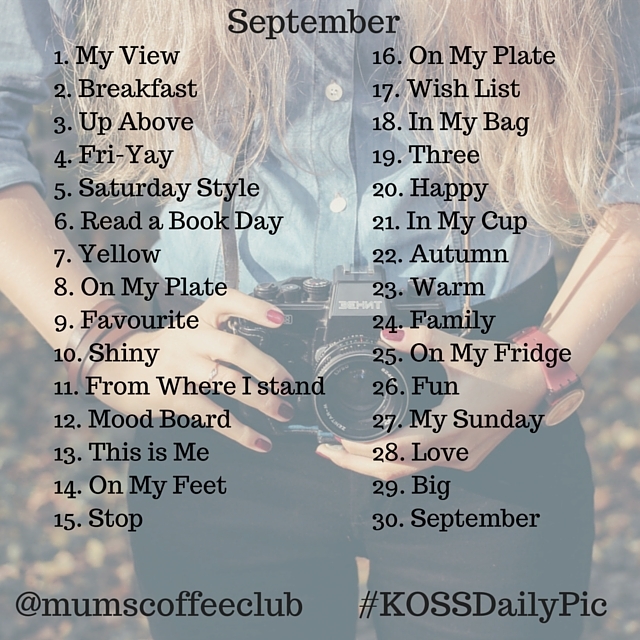 You did well but we think you can do better so we are starting a daily photo prompt from tomorrow! Have you had a good summer? 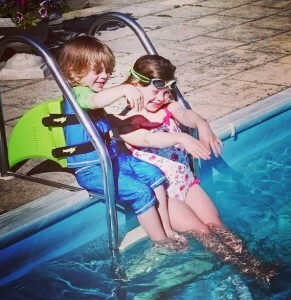 Its been very busy for us but lots of fun. 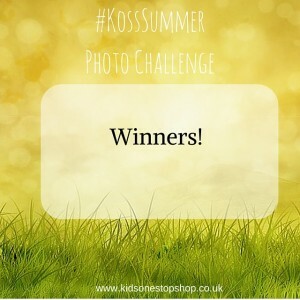 A big thank you to those who took part in our #KossSummer photo challenge we have a daily prompt starting tomorrow on instagram so do please take part! 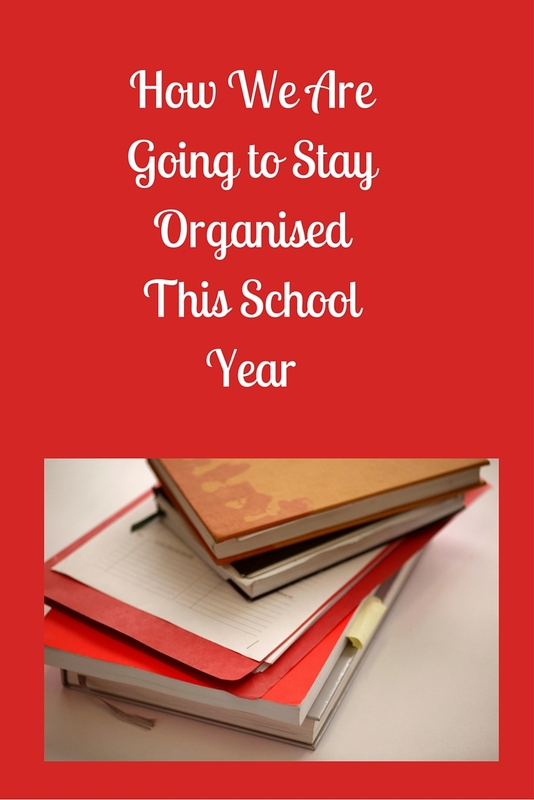 We promise every September to be organised for school and well by the second week it is all out of the window. We started doing this last year and really helped. 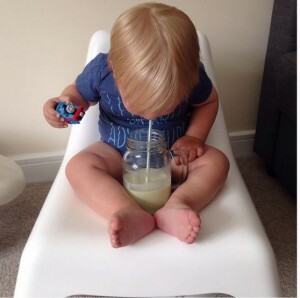 It’s so simple get it all ready the night before! 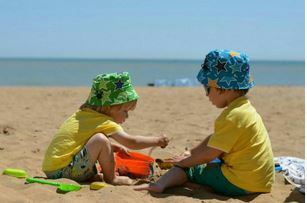 Lay out clothes, older children can do this themselves. Make pack lunches before bed. Check shoes, bags and coats are in the right place. Set up school areas, where all the school things go. We have hooks just for school bags and coats and shoes go underneath. As it gets colder we have a basket with hats and gloves so they can grab and go. We also have a hair basket with detangling spray, hair bands and a brush. When they get home from school coats, bags, shoes etc go into the school area. Lunch boxes and water bottles go in the kitchen. Once the children have out their bags away I check through for any letters (and rubbish). I try to deal with everything straight away. Letters that need signing and/or money get filled in and out straight back ready for the next day. Any special dates get put on the calendar so I don’t forget anything. Schools are notorious for giving you a days’ notice for a dress up day etc so make sure you check those bags! And use it! Buy or print off our free 2015 calendar and stick on the wall or fridge and use it. There will be countless charity days, dress up days and other events you will need to remember. We have one on my fridge and I check it daily for anything coming up. 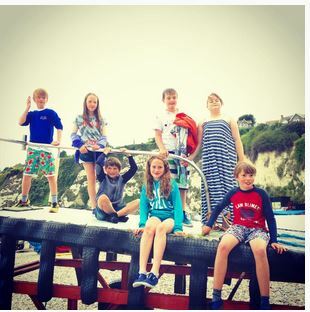 Last year we produced a weekly school schedule and it has been invaluable. It works really well with the main monthly calendar. 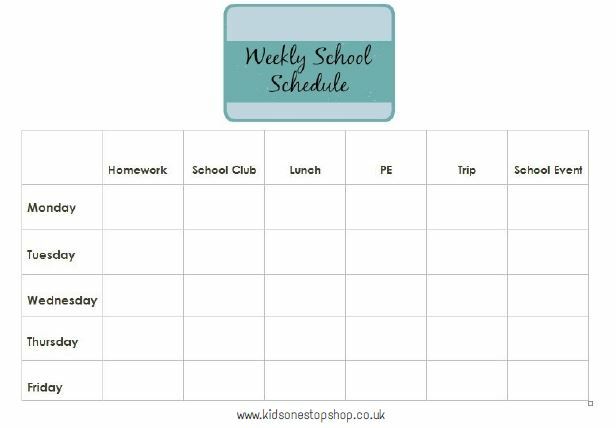 It has a column for homework, school clubs, lunch, P.E, school trips and any other events. We print a new one on a Sunday ready for the week ahead. 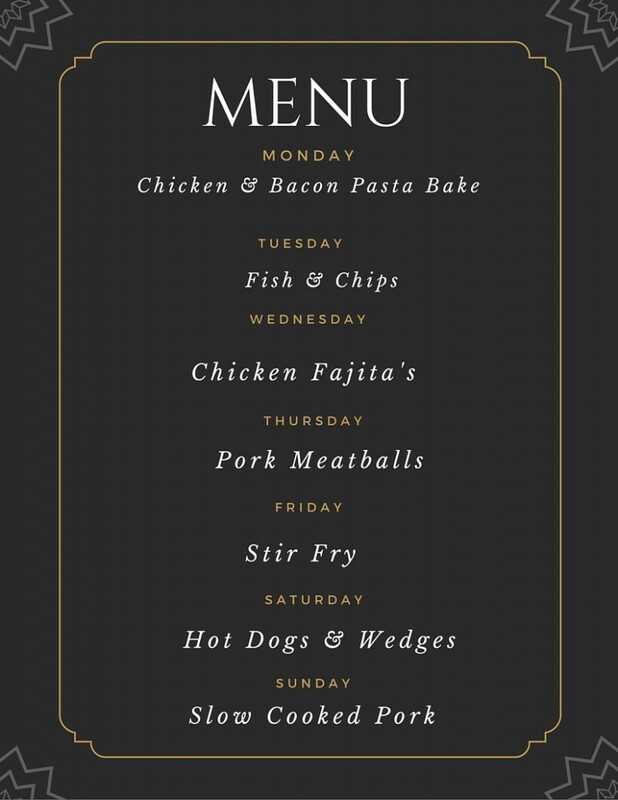 It’s so handy to glance at the week and see what’s going. It also helps with getting ready the night before. You can quickly see if you need P.E kit, pack lunch or if they need to take cardboard boxes in! We have a mix of packed lunches and school meals and I would never remember without this. You know we love a meal plan, its goes out of the window in the summer but we back at it next week. Its saves so much time and effort if you know what you will be cooking each day. We check it each night (can you see a theme) and then get anything out of the freezer than needs defrosting and make a list of any ingredients that we may need. Its great waking up in the morning and having a plan in mind for the day, even if it doesn’t all go right! Follow Wendy’s board Back to school on Pinterest. 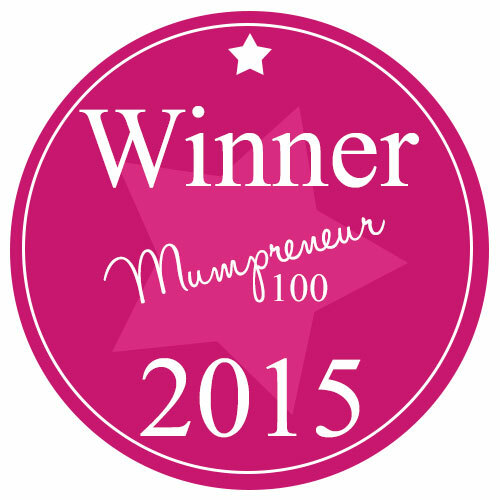 We are over the moon to announce that Kids One Stop Shop founder Wendy Lavender is a Mumpreneur 100 winner for 2015. 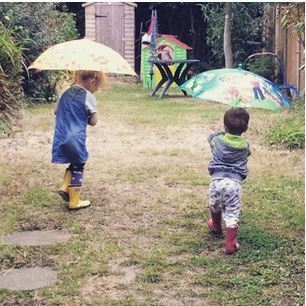 Wendy is over the moon to have been chosen by Mumpreneur UK as one of their 100 business women. Winners will be presented with a certificate at this years Mumpreneur Conference that takes place on Saturday 14th November.